Auditor General of Pakistan (AGP) completed initial audit of all auctioned projects and administrative expenses of Universal Service Funds (USF) and National ICT R&D Funds recently, industry officials said. The AGP ordered executive bodies of these two departments to explain the raised objections on procedural irregularities found its team’s members in the terms, conditions and modalities of their functions and auction processes. The AGP asked departments to submit their responses after completing their audits last month. This was the first time that AGP conducted audits of USF and ICTR&D. 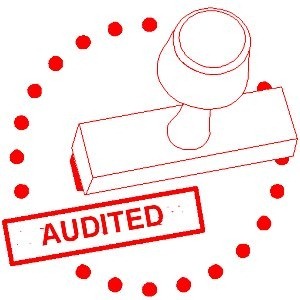 Previously private auditors affiliated by government authorities conducted audits of these departments once or twice a year. According to sources, the AGP team raised objections on bidding and tender procedures of the companies which need explanation of the organizations heads to clarify all issues or discrepancies in implementation of rules. The modus operandi to tender and auction projects of private sector companies is different as compared with public limited companies and they are bound to follow their own set rules, an official of Minister of Information Technology and Telecommunication (MoITT) said. “The AGP ironed out few issues in procedures, which need to be explained by the company in the next schedule meeting with its team and officials of these two departments,” he said on the condition of anonymity. USF is private limited company and listed with Security Exchange Commission of Pakistan (SECP) with independent board of directors, hence, it follows it own rules rather than government rules to run an organization, he said and added USF subsidies allocations are transparent with no irregularities. The USF has auctioned different projects of Rs 15 billion to various telecom operators so far. The AGP team asked ICTR&D officials to provide details of their funds utilized on specific research projects. “The AGP team found complexities in different projects of the organization, which will be explained to them with discussion with their team member in next meeting as part of the audit briefing,” another official of MoITT said requesting not to be named. The initial inquires are first phase of audit conducted by AGP in two weeks. The next phase of audit based on briefing sessions will be conducted by AGP team with USF and ICTR&G high officials later on, however, the dates of meetings have not been announced so far. At present, AGP team is conducting audit of MoITT funds collected from different telecom operators on various accounts. The AGP will submit its detail report to Federal Cabinet and Public Accounts Committee on completion of audits. The top brass officials of these two organizations will be held accountable if they are found in corruption or involvement in irregularities.